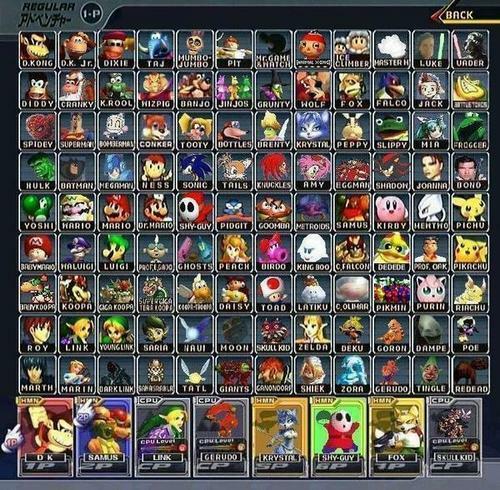 fake super smash bros. characters. this is fake. Wallpaper and background images in the Super Smash Bros. Brawl club tagged: characters melee fake. This Super Smash Bros. Brawl fan art contains रंगीन काँच and सना हुआ ग्लास विंडो. Skull Kid, Moon, Goron, and The Giants would pwn everyone!!! Yeah. How DID you do that? Purin is the japanese name for JigglyPuff. 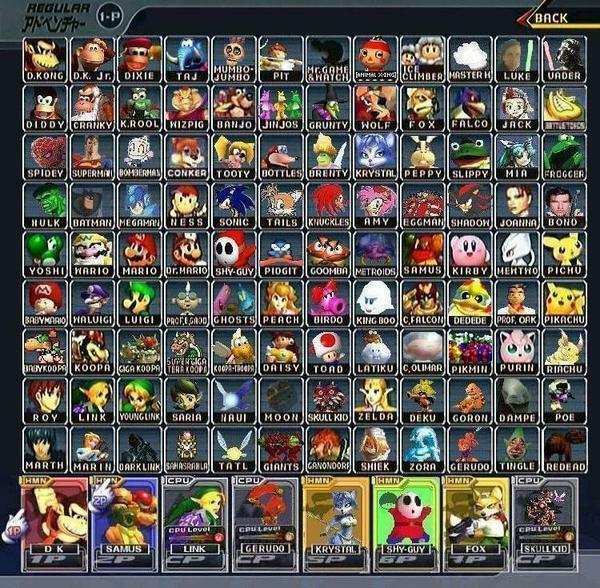 it would be cool if they added these characters to the next ssb. nice they got starwars char. anyways, there should b more sonic characters and id b tails AAAAALLLLLLLL DAY!!! AHHHHHHH I SAW THIS BE4 BUT I DID NOT NOTICE GHOST AND PROFESSOR E.GADD!!!!!! !AHHHHHHH I'M JUST A BIG FAN OF LUIGI'S MANSION!!!!!!! <3 <3 <3 <3 <3 <3 <3 <3 But..... my fav is Sheik! How can you fight as Fairy's ? xD Up B: Sprinkle, Down B: More Sprinkles, Side B: Super Sprinkle Attack, Smash attack: Super Sprinkle attack that does absolute nothing !!!! I would most likely to pick the Zora's they have combat skills and they can go underwater, they are the ultimate fighters I know . Alice Liddel from Alice Madness Returns, Cynder and Spyro would be cool! And Byrne from Zelda Spirit tracks!